Jeremy McKinnis, Vice President of McKinnis Inc.
By Hugo Morth and Will Sailors, Creighton University MBA Students. McKinnis Inc. is a roofing and exterior improvement company that specializes in residential and commercial roofing, restoration, siding, and other repairs to protect homes and businesses from the harsh Nebraska weather. The business was started by Dave McKinnis in May of 1981 in Blair, Nebraska. Dave had relentless focus and desire to do the job right and refused to cut corners. That same mentality has become a hallmark for McKinnis Inc. in each job that they execute today. McKinnis Inc. has grown and prospered over the past 36 years by taking pride in their work, establishing strong ethical values, and building a solid business culture. These business standards were established when the company started and have been passed down to every person that is employed with the business. Dave’s son Jeremy McKinnis holds the title of Vice President and has worked for the company for many years. He started in the warehouse and gradually moved up into various manager roles. Jeremy experienced first-hand from his Dad what it takes to grow a company, maintain strong ethical values, and continue the legacy that started in 1981. What is your definition of business ethics? I think it is pretty simple. Ethics are about always doing the right thing, all the time. When no one is looking, you should always choose the most respectable option. That is how my dad has operated the business since 1981 and we continue to follow those standards. Doing the right thing in business is not always the most popular decision but it is required for long term growth and to maintain good standing with customers and the community. Conducting business through the proper rules, regulations, and by the book is how we try to operate at McKinnis. Do you have any ethical mentors? Yes, I do. I consider my father as my mentor. He is someone that I look to for advice and direction regarding my personal and business decisions. I grew up working next to him and he has taught me valuable lessons about life and working in the roofing industry. Another mentor that I have is my grandfather. He worked in the masonry business and was a volunteer in the Blair Fire & Rescue Department. He is the longest standing member on the volunteer fire & rescue department, which he has been a member of for over 60 years. My father and my grandfather have gone out of their way to help people in the Blair community. I am proud to say that they have been great mentors of ethics throughout my life. Your company seems to be values based. How do you ensure that the people you hire fit into your business’s ethical culture? We have a process when we hire new employees to make sure that they fit into the culture of our business. Over the years, we have grown from a small to medium sized organization with 80-100 employees. Sometimes that number fluctuates based on the time of year and business needs. Our HR department takes care of the hiring process for our company and has a firm understanding of what management is looking for when hiring new personnel. When we are considering new candidates, we want to make sure that they fit our family ran business values and have the highest integrity. How do you ensure that your employees make ethical business decisions? We try to make sure that our employees make ethical business decisions from a top down leadership approach. My dad started the business in 1981 and based on his beliefs, ethics are a part of our DNA. I have been working in the business for 17 years, my uncle David has been with us for 20 years. We try to show our employees the importance that we give to business ethics in every way possible. Our image is everything to us at McKinnis. We have the family name on all of our company trucks and shirts. We want to make sure that every employee is living up to the ethical standards that my dad established when he created the company. Can you describe an ethical situation you have faced that was hard to handle? Recently there was a tough personnel decision we had to make because an employee was acting in an unethical manner. He was one of our project managers that had been with the company for 5 years. This employee took it upon himself to change some of the sales numbers to what he thought was correct without running it through our estimating department. He did not follow the rules by the book and acted outside of his job role. Our management felt that his decisions were not honest or executed with integrity. It was a hard decision to make, but we had to let this person go. We had to uphold our beliefs and show that the company does not tolerate unethical actions. The Ethical Omaha Project of the Business Ethics Alliance has identified Omaha business core values to be the following: Accountability, Community Responsibility, Financial Vitality, Integrity, and Moral Courage. Can you elaborate on how these values fit your organization? The two values that stood out to me were community responsibility and integrity. We believe that in our business it’s about doing the right things while making money, but also giving back to the community that we live and work in. One example of our business giving back to the community was the cleanup day at Dana College. Dana College’s campus closed and the grounds became overgrown. As a community project, people volunteered to help clean the campus. We did a lot of work for the Dana Campus and the current owner. Our company decided to get together to lend a hand in the project and many of our employees volunteered their time. They were happy to help the community and we were proud that our company had strong participation in the project. Another community project that our business is involved in is Habitat for Humanity. Each year we try to install at least one roof on the new homes built by Habitat. Integrity is also important to us. It’s more than just earning a living, McKinnis exists for a greater purpose and that is to help people solve problems by improving their homes and businesses. We want to do that in the most honest way we can. McKinnis always stands by a workmanship warranty guarantee and cares about the services that we provide. In your opinion, are there unethical behaviors that give other companies a competitive advantage? Yes, unethical behavior happens all of the time in the roofing and home improvement industry. One example of this is when companies don’t provide worker’s compensation insurance for their employees because it is expensive. I have seen this occur more on the residential side of the business when referring to general contractors. If the company doesn’t have this expense, they are able to improve their bottom line profit. What is your opinion on Omaha’s business environment from an ethical perspective? I believe Omaha has a positive ethical business environment.  I am in peer groups with other business leaders in the Omaha and Blair community, so I have been able to learn about the business environment by attending those meetings and workshops. I feel that the ethical standards of the area are held at a higher standard because of where we live. A lot of businesses in Omaha and in the smaller rural areas have been built and lasted for decades because people in those communities value hard work, honesty, and Midwestern values. In your opinion, what are the biggest ethical challenges that young business professionals face today? What tips would you give to address them? I would say one of the biggest challenges that young professionals face today is career advancement. Young kids just starting out in their industry of choice are always trying to get to the top as fast as they can. Sometimes they feel inclined to do things that are against their personal beliefs and ethical standards in order to advance their career. Young professionals today need to make sure they always stick to their core beliefs and values. The main tip I would give is to not settle for something you don’t believe in.